We went on a disappointing tour of Lambeth Palace, the London residence of the Archbishop of Canterbury and the headquarters of the Anglican Church. Despite our reservations about the value of the tour, we still managed to gather enough material from inadvertent comedy and our own research on the Palace and the neighbouring deconsecrated church, St. Mary at Lambeth, which is now home to The Garden Museum. 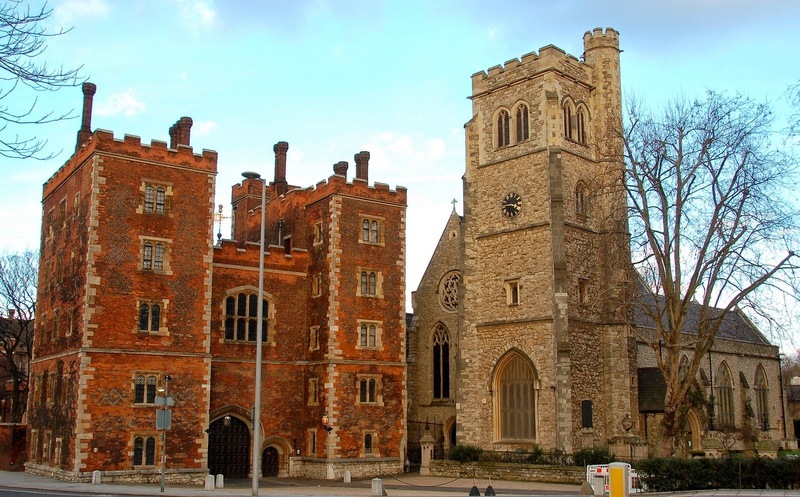 So, from Lollards to Lions with some significant burials as well, let us take you on OUR tour of Lambeth Palace.